It wouldn't be a proper reveal season without some leaks! 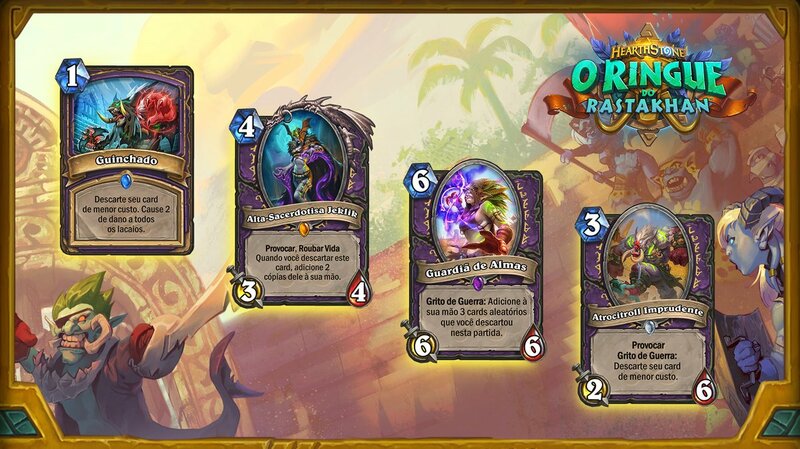 This time it was the official Twitter account of Hearthstone Brazil that accidentally revealed four new Warlock cards. These four cards were supposed to be revealed during the kickoff live stream, as the audience had to choose between seeing gameplay of a Mage or a Warlock deck. Since the audience picked Mage, the Warlock cards were supposed to remain a mystery for now but Hearthstone Brazil jumped the gun and revealed them off-schedule on Twitter. Here is the English version of the cards. All images are courtesy of Hearthpwn and the names of the cards may not be final. Surprise, surprise: Team 5 is trying to make Discardlock a thing again! Unfortunately, no matter how many times they have tried to make the archetype viable, it never really caught on. Who knows, though? This might be their lucky time! This package looks alright on paper. 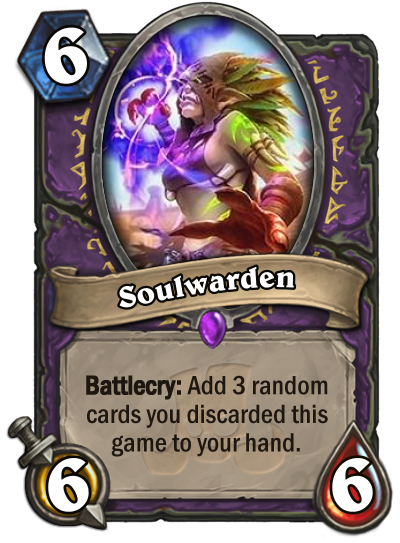 A major concern in Discard decks has been that there's no way to get back valuable cards that you have discarded; Soulwarden does that in a better way than Cruel Dinomancer. 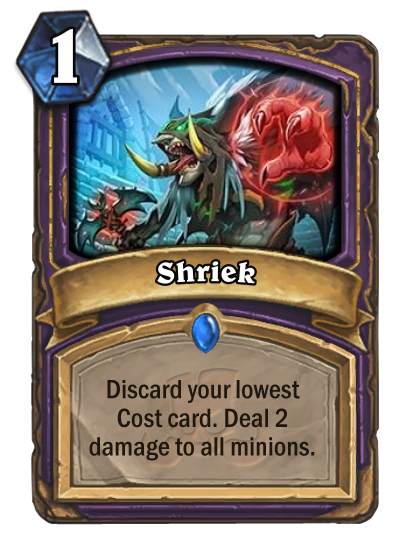 Targeted discard is also a major improvement: Shriek can probably see play, especially after Defile rotates out. Reckless Diretroll looks like a toned down version of Lakkari Felhound. 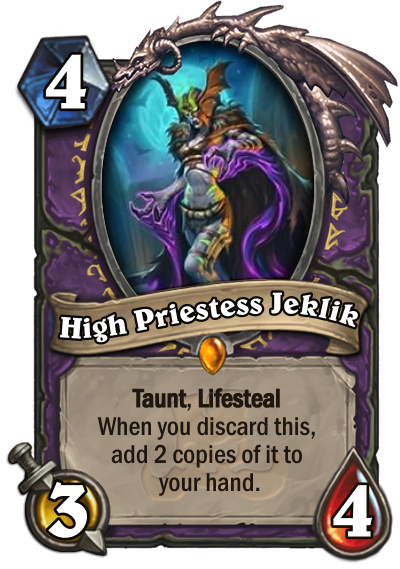 The legendary High Priestess Jeklik can potentially be quite powerful, but at 4 mana she's not quite cheap to be reliably discarded by the two aforementioned cards that target the lowest cost cards. The new cards are here, the support for them already exists (see Lakkari Sacrifice and The Soularium). 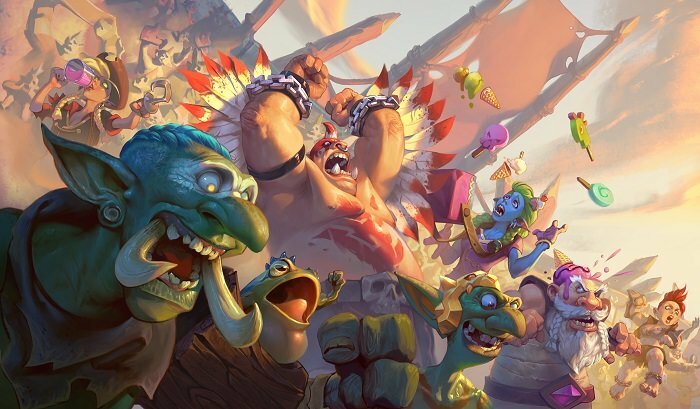 Is it finally the time for Discardlock to shine in Rastakhan's Rumble? This is no ordinary discard lock. 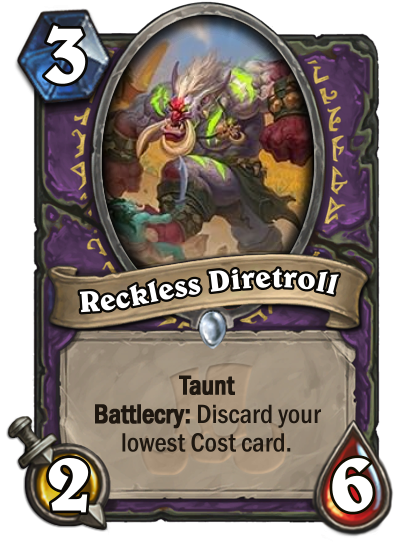 The fact that this is targeted discard (lowest cost) means that you can actually control it! This will be crazy powerfull if we see more synergy! Problem: Shriek and Reckless Diretroll would be bad in the same hand, unless they make a "I want to discard" card at one or two mana so you could play shriek first. But the same problem applies: You're discarding cards for...what exactly? The warlock quest is an utter joke. Jeklik up there is interesting as a discard option, but what's the discard deck's win condition? Warlock cards with the discard mechanic have always been unusable at best or generally had their discard mechanic "played around" such as with the weapon or deck summons. Been trying to get discard lock to work for ages, but just never did it. This time... They might have something. We'll have to see what else is coming of course, but this is actually looking rather effective. 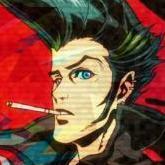 So, your anti aggro cards have you discard your low cost cards, which are generally in your deck. . . For anti aggro? That's some skornergy right there. Look okay on paper, but the anti synergy is going to break them. Also none of the cards really offer any sort of win condition that isn't done better by Mr. J or big G, so. . . Why? You put a clunky card in your deck so if your other clunky cards accidentally get rid of your actual win condition you can maybe get it back? All the while you don't even really get rewarded for playing all these clunky cards. . . Again I ask, why?